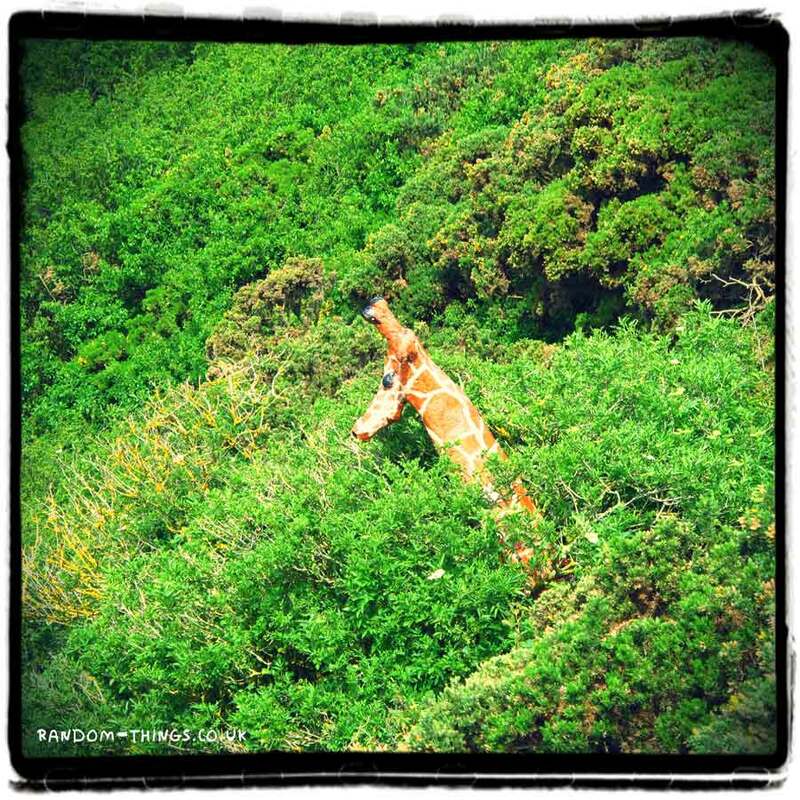 Home » Animals » Giraffe » Observed » Random Things » Scarborough » A giraffe in Scarborough. Whilst out looking for an old WW2 pillbox near Scarborough today, I spotted in the distance, what looked surprisingly like a random giraffe. Just off the coastal path at Scalby Mills, this head appeared to be sticking out amongst the gorse. Giraffa camelopardalis is a species that tends not to be seen in these northern parts, so we headed closer to investigate; in case it had accidentally escaped, or something. 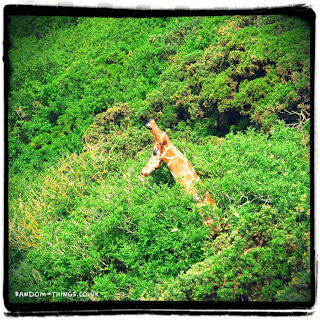 I did get a few odd looks from some walkers as I pointed out 'a giraffe', but sure enough, as we got closer, it turned out it actually was a giraffe. Admittedly, not a real one, but I was right, sort of.